Have you thought about starting your own business? 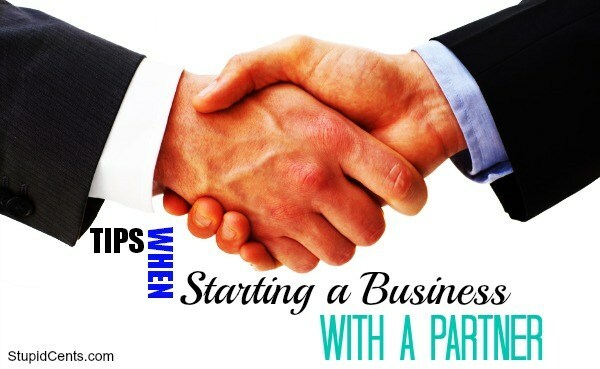 What about starting a business with a partner? There are many questions to ask yourself when starting a business, and even more if you plan on starting it with a partner or multiple partners. I’m currently in the process of starting my own business and I plan on starting it with a friend of mine. We have talked about partnering and starting this business for years now and we both have plenty of experience in the area. However, even though we are friends, we do know that business relationships can hurt friendships, and we don’t want that to happen. We want to be prepared and know how to handle things just in case anything good or bad happens. There are many things to think about, and today’s post just covers 3 points, be sure to check back in future weeks for the next parts to this post! Can you work well with this person? For us, we have worked together and know that we get along. However, if you’ve never worked with the person before, this might be hard to determine. You need to make sure that your personalities go well together and complement.You don’t want to start a business with someone and then end up disliking each other so much that you sell off the company. I know this personally, I work in the valuation of businesses industry and I see friendships in partnerships not work all the time. However, I also do see great businesses where that without the partnership, then the business wouldn’t be where it is currently. Should you even have a partner? Does your partner have useful skills? Or should you just hire this person instead of partnering with them? Me and my friend both know that we want to partner, and have been talking about this since we were in high school! It’s never been any differently, it’s pretty much that we were just waiting for life to slow down so that we could have more time. And guess what? Right now just seems to be working perfectly for us. However, in every instance a partner is not needed. Maybe you can do things on your own. Do you and your partner have the same goals? Where do each of you want the company to go in future years? You and your partner need to make sure that you have the same or at least similar goals when it comes to the direction and mission of your company. Having conflicting goals in the beginning can almost never be a positive for a start-up business. Come up with a list of goals and make sure that you and your partner(s) are on the same page. How big do you want the company to be? Always a small business with only one location or one store? Would you like to eventually have 300 or more employees and possible multiple locations? What about who will take over when either or you are done working? How will profits be allocated? Who will handle the different duties of the business? What else would you ask yourself before starting a business with a partner? Yes, it is quite important that you have the same ideas and beliefs with your partner. I agree with having the same goal to make your partnership effective.